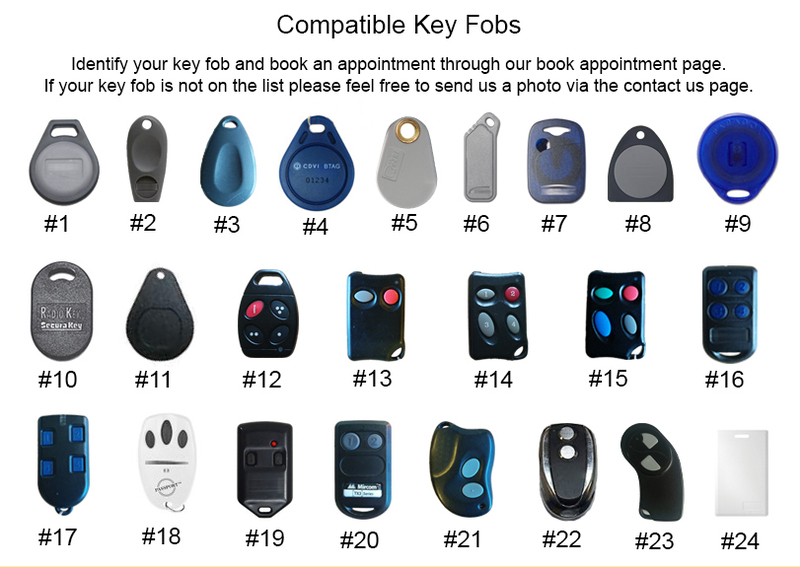 KeyFobCopy.com – Vancouver’s #1 Key Fob Copying ServiceKey Fob Copy - Vancouver Key Fob Copy Service. Identify your key to see if it is supported. If your key fob is not listed, feel free to send us a photo as we support additional keys not shown. Book an appointment and we will respond within the same business day to arrange for a service appointment with our technician. PRICING: $59 per copy. +$29 each additional copy. Our technician will arrive onsite at the appointment and a new copy will be made for you immediately. Your new copy will be tested to make sure it works. Same day service to make sure you get a new key fob right away. Your privacy is protected as your key info is never stored. We are the original key fob service in Vancouver with years of experience and many satisfied clients to date. Our key copies are backed by 100% satisfaction and money back guarantee. An absolute lifesaver! My landlord would not provide me an extra key fob which meant I had to share with my boyfriend. I was hesitant at first but I took the plunge and booked an appointment. The technician arrived on time and made me a new copy right away. I tried it and it works! Would definitely recommend this service to anyone! Reliable and Fast Service. We manage various apartments and buildings and this service saves us an incredible amount of time. They have serviced every key fob that I have brought them to success and I will definitely return.